Distemper is a term used for older generation of water-based coating systems, which have had varied formulation in different regions and ages. These have been mainly masonry and plaster surface coatings but occasionally also used for wood surfaces. These were devised to supplant or add upon the vast varieties of coloured lime and chalk finishes. 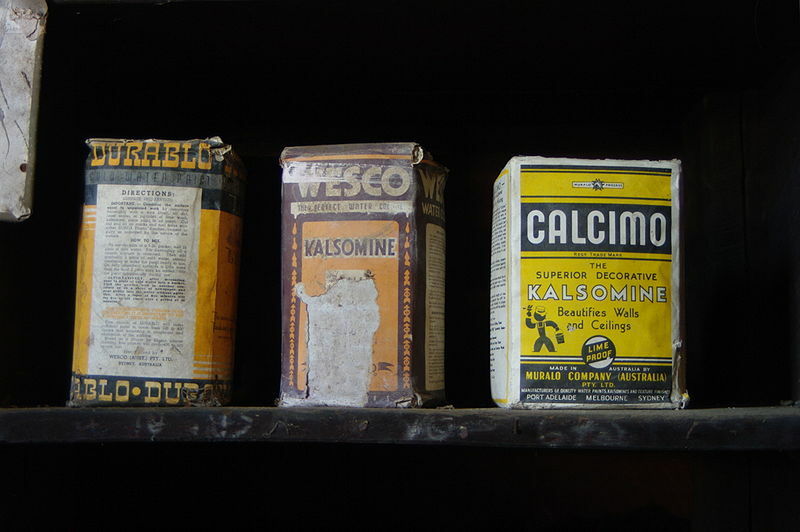 Calcimine (or Kalsomine) is made of Calcium Carbonate, a colourant compound and a binder. Binder was necessary as Calcium Carbonate (unlike Calcium Hydrate CaOH2) has no surface binding qualities. Dry distemper is made with Calcium Carbonate, Colourant and glue powder (plant gum). A calcium carbonate helps in grinding, finely disperse the colourant and eliminates the flocculation of the pigment. During the coating process Calcium Carbonate provides body to the paint. As the plant gum is hygroscopic, so absorbs moisture, and makes its storage and grinding a difficult proposition. Excessive gum in the mix leads to cracking and peeling from the ground, whereas too little gum or binder makes the surface powdery or friable, and deficient in strength. In adverse climatic conditions (moist) wash-off or bleaching is very common. Distemper coatings being water-based system dry-out to a slightly lighter shade then their wet or freshly applied state. For application the Dry Distempers are mixed with plain water or thin lime water. In the latter case it is almost a coloured lime-wash. The fouling of plant gum is very common with such coatings, and for that reason copper sulphate and other anti-fouling agents are added. Calcimine system is made from natural materials each of which is non toxic. The coating system is ecologically a safe formulation during application and later in disposal of it. It is a sustainable system. The Calcimine coating is water-based, and its constituents do not convert themselves into a different product, so the system can be called a non-convertible system (a system that can be recovered to its original form), a very essential factor for its suitability as a conservation and preservation product. Dry Distempers are also called Calcimine or Kalsomine, due to the main constituent the Calcium Carbonate. This is also called stucco paint because it is used for masonry and Plaster of Paris surfaces. Dry distemper or Calcimine coatings are used for interior surfaces, ceilings, temporary works like exhibition stands, stage settings, scenery painting, Rangoli and temporary sign boards. Many Medieval and Renaissance painters have used distemper painting rather than oil paint for some of their works. 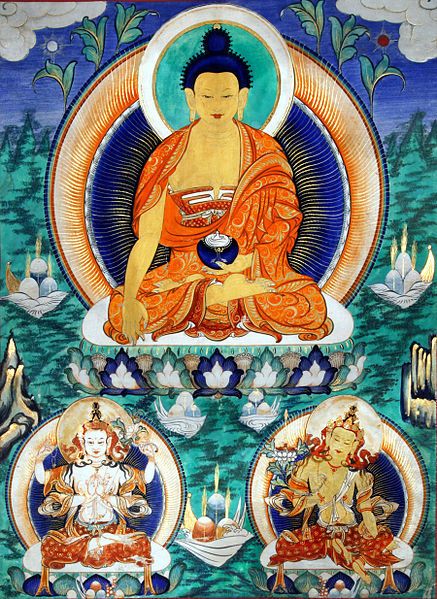 The earliest paintings on canvas were mostly in distemper. Distempers for art works were also prepared with variety of starches and animal gums. Paintings made with distemper as medium are highly susceptible to weather and bi-degradation. Soft Distemper, is more commonly used for coating of elaborate decorative plaster-work or ceilings. Its chief variant was the animal gum made from bones, horns or tender skins (rabbit skin glue). It has a very limited shelf-life, becoming rancid in a short time, and for this reason it has to be prepared and applied immediately. It is applied by brush and can be removed with a wet sponge when in need of re-coating. Modern age distempers are available in wet form. A large number of water-insoluble film forming substances can be dispersed in water, as suspensions or emulsions. The film forming particles or droplets coalesce with or without temperature change, on evaporation of water. The binders used, are water soluble substances, such as: Proteins (casein, glue, soya), Soluble starches, Cellulose derivatives (methyl cellulose, sodium carboxy methyl cellulose), Alginate (sodium, potassium, ammonium), Acrylates (sodium, potassium, ammonium), Polyvinyl alcohols, Sodium silicate, Guar gum, gum Arabic, Proprietary oils and Alkyd-resins.